WHAT: In June 2005, a quartet of Navy SEALs (Mark Wahlberg, Taylor Kitsch, Ben Foster and Emile Hirsch) set out on a mission to kill Taliban leader Ahmad Shah. But when they encounter some goat farmers in the mountains and agree to let them go, knowing full well that they’ll alert the Taliban to their presence, the SEALS are forced engage in a fight for their lives. WHY: Peter Berg’s “Lone Survivor” might be the worst military recruitment video ever made, which is a marked departure from the current crop of war movies. 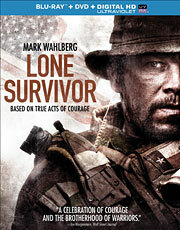 Though the story of Marcus Luttrell’s incredible survival is tailor-made for the big screen, and Berg does a good job of highlighting the soldiers’ brotherhood and courage under fire, it’s hard to find any pleasure or entertainment value from watching the characters (real-life men whose family and friends are still living with that loss) get brutally slaughtered. It’s incredibly harrowing stuff, and perhaps the reason why Berg went with such a spoilerific title, because it would have been that much harder to watch if you didn’t already know how it ended. But like many of Berg’s recent films, “Lone Survivor” is unwaveringly pro-American, almost to a fault. It never digs very deep into the problems surrounding the ill-fated operation (from a lack of air support to faulty communications equipment), and the final act feels a bit too Hollywoodized for what comes before. 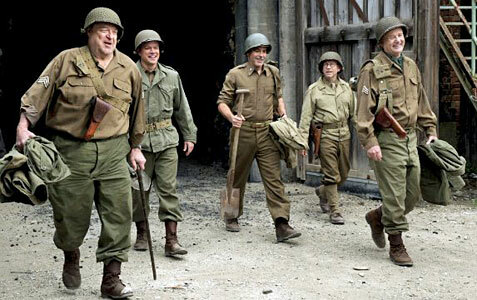 There’s a lot to admire about the movie thanks to some strong performances from the four actors, but your mileage will vary depending on how you feel about watching these fathers, husbands and sons die before your very eyes. EXTRAS: In addition to a fairly lengthy profile on Marcus Luttrell (which also doubles as a making-of featurette), the Blu-ray includes three additional production featurettes, an intimate look at the men who died in Operation Red Wings and an interview with Mohamad Gulab, the man who helped save Luttrell’s life. 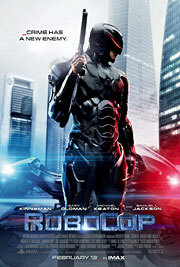 WHAT: When Detroit cop Alex Murphy (Joel Kinnaman) is critically injured in a car bombing, he’s offered the chance to take part in an experimental procedure that rebuilds his body with robotic prosthetics, turning him into the ultimate law enforcement agent. But after his overseers program his brain to act more like a machine, Alex’s human side begins to fight back as he investigates his own murder. 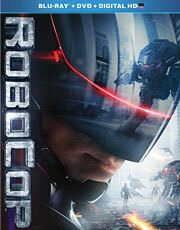 WHY: Believe it or not, the new “RoboCop” isn’t nearly as bad as people feared. In fact, it boasts a better cast, better effects and a better story, even if the 1987 original – which is admittedly pretty cheesy by today’s standards – is still the better movie. Jose Padhila’s update actually starts surprisingly well, but it begins to drag in the middle and never quite recovers. The problem is twofold. With the exception of Kinnaman, Gary Oldman and Jackie Earle Haley in a fun supporting role, most of the other talent is wasted, and the lack of a standout villain doesn’t help matters either. Additionally, while the action scenes aren’t terrible, they’re not as exciting as you’d expect from a modern day “RoboCop” movie. This was Padilha’s big opportunity to compensate for the much-derided PG-13 rating, but between the annoying shaky cam and his tendency to cut away from the action too early, many of the set pieces are scattershot at best. The fact that it’s not a complete failure will feel like a win to some fans, but while this slick and overproduced update could have been much worse, its inability to capitalize on the promise that it shows early on is perhaps the biggest disappointment. EXTRAS: There’s a trio of featurettes (on the differences between the original and the reboot, the weapons used in the film and designing the suit), as well as some deleted scenes and faux product announcements from OmniCorp. WHAT: As Bill (Stephen Moyer) comes to terms with his newfound powers, Louisiana Governor Truman Burrell (Arliss Howard) declares war on vampires, capturing and detaining them in a concentration camp. Meanwhile, Sookie (Anna Paquin) and Jason (Ryan Kwanten) face off against the ancient and powerful vampire responsible for murdering their parents. 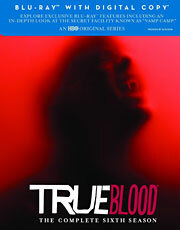 WHY: “True Blood” has been in steady decline for several years now, but Season Six is so goddamn awful – the final nail in the proverbial coffin, if you will – that it wasn’t much of a surprise when HBO announced that it would be ending the series after its upcoming seventh season. The supernatural drama was never particularly great, but it had its moments as a pulpy and fun guilty pleasure that helped introduce audiences to the likes of Alexander Skarsgard, Ryan Kwanten, Joe Manganiello, Deborah Ann Woll and many more. Unfortunately, that sense of fun is completely missing from the sixth season, which somehow manages to be even more ridiculous than usual. The departure of creator/showrunner Alan Ball was the perfect opportunity to reinvigorate the series, but instead, it only made things worse, to the point that I finally stopped watching midway through the season after threatening to do so for two years. After all, there’s only so much stupid one can take, and when a show has more short-lived love triangles in a single season than interesting characters, that’s a pretty good indicator that it’s lost its bite.